State-of-the-art design software, on-going installation help and direct liaison with some of the country’s most experienced scaffolding contractors – Layher is committed to working closely with customers at every stage, irrespective of project size. From on-site survey and working CAD drawing production, to estimating, material shipping and health and safety advice, our experienced field and office-based teams can offer guidance to customers on the optimum solutions to their access requirements. Allround® and SpeedyScaf® designs can also benefit from LayPlan Planning Software. Extensive resources and experience from the Layher head office in Germany enhances customer confidence that they will receive design and installation support to the highest standards . . . every time. Our commitment to health & safety starts with manufacturing processes and runs through every project to compliance with appropriate standards. Health & safety support that evolves in line with new regulations, equipment and relevant requirements. Full involvement in the NASC working party, established for the safe use of system scaffold in the hire, sales and manufacturing industries. Optimised manufacturing methods – from material specification to continually scrutinised fabrication methods. Independent certification including EN 29001, DIN ISO 9001, CEN HD GAP 1000, and TUV CERT. Full stamping and date coding for effective traceability. Designs that incorporate in-built, safe connection mechanisms. Designs that minimise the number of components needed on site. 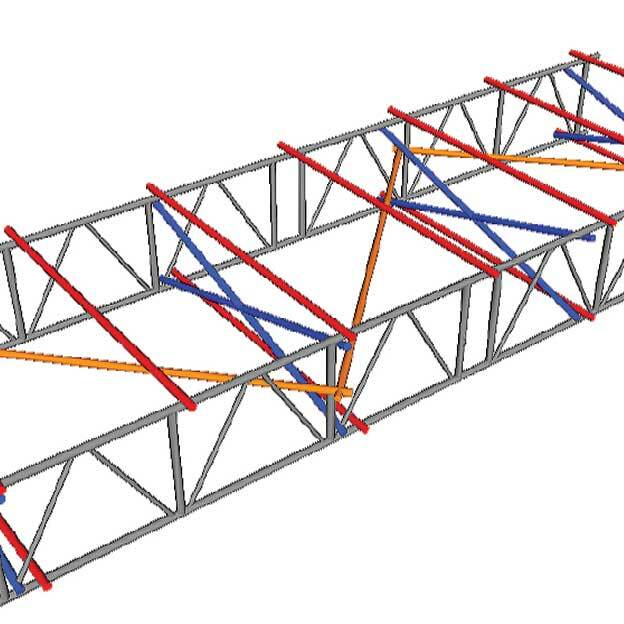 Lightweight design to simplify materials handling and erection. Choice of purpose-designed components to optimise performance. Provision of comprehensive training options to match personnel and product needs. Guidance on installation to optimise safe erection procedures. 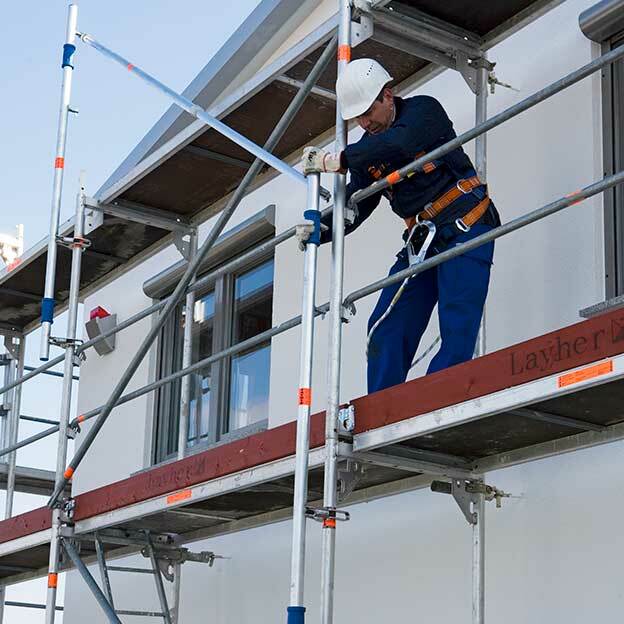 Work with many of the country’s leading scaffolding contractors, fully trained in the correct use of Layher equipment. (Please complete appropriate details in the Contact Us section).